The two biggest powerhouses in the third-party poker software industry have united forces. This week, PokerTracker and Hold’em Manager announced a business merger agreement and the formation of a new company, Max Value Software, LLC. 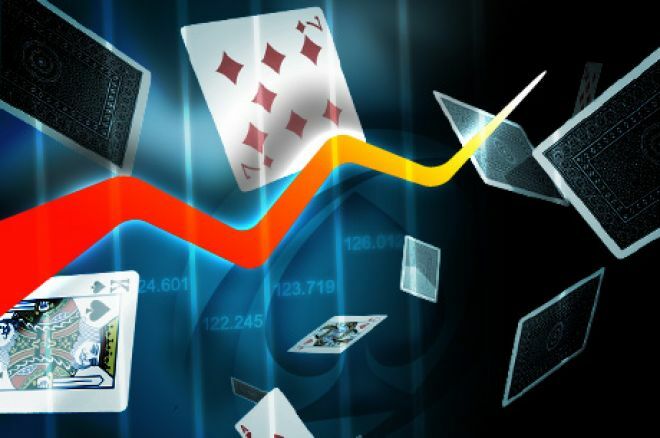 The agreement is believed to have been consummated for purposes of combining synergies and reducing redundancies between the two tracking and statistic poker software providers. "We believe that the merger of PokerTracker and Hold’em Manager into one unified company allows us to better represent our customers in the market and to ultimately provide better software and tools for the average online poker player,” PokerTracker's Derek Charles told PokerNews on Thursday. The merger has drawn a small amount of outrage from some members of the poker community. Many poker players believe when the Coke and Pepsi of the poker software industry combine, it will eventually lead to an increase in prices due to a lack of direct competition except from smaller software providers. Max Value Software Marketing Director Steven McLoughlin denies this is the case: “The merger is designed to benefit the users of both PokerTracker and Holdem Manager while keeping both brands competitive. Both PT4 and HM2 have long advocated reviewing all free trial options before making a purchase, we see no reason why that should change, we encourage users to choose the best option for their own online poker workflow. Other players are concerned that the lack of competition might also stifle innovation. This is natural since competition fuels the creative juices. While this may or may not turn out to be true, back when PokerTracker was first released they were the only game in town. Hold’em Manager came along soon after and provided PokerTracker some direct competition. There are now at least 25 other third-party poker software providers including Poker Office, Magic Holdem, Holdem Indicator and Poker Copilot. Perhaps now there is room for one of these software providers to fill the gap and add new competition. Max Value Software believes the innovation for both products and new cloud based tracking solutions should be better than ever via the sharing of technology and personnel. We asked McLoughlin whether players should be concerned and what we should expect to see out of the new merged company. “Eventually we will release cloud based tracking solutions but there is no need to fear this change. This product is not designed to replace PokerTracker or Holdem Manager, it is there to augment our existing offerings," he replied. "Our management team remains committed to delivering HM3 and PT5 someday in the future. We do not want to rock the boat, it is in our best interest to continue to deliver the same level of service and we will continue to strive to exceed our customers’ expectations." "A major benefit of the merger will be a sharing of behind-the-scenes technology that was never before possible. We are confident that this will lead to better and faster innovation thanks to the reduction of functionality that used to be duplicated by both brands. We are already incorporating some key technologies behind the scenes that will allow for faster patch releases, the majority of shared technology may not be obvious to the end user but it is expected to help the two brands develop faster and more efficiently." Amaya CEO Discusses Return of PokerStars and Full Tilt Poker to the U.S.